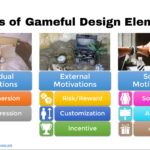 Gameful Design (gamification) has been an increasingly popular approach for improving the user’s motivation and experience when interacting with digital applications. As a result, the number of gameful designers has been steadily increasing in the past years, as well as the reports of successful projects gamification projects. However, what I still miss is more reports of gameful design integrated to the general product design and development process. I have seen many gamification projects reported as stand-alone projects, separated from the product design cycles. While this might still lead to successful implementations, certainly there is a huge synergy loss by adding gameful design to a product after it has already been designed without it. 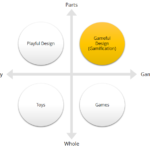 Gameful design must evolve to be an integral part of User Experience (UX) design, which must happen as a part of the whole product design process, not separately! UX design focuses on understanding the users and improving their experience with the system in multiple dimensions, such as usability, information architecture, and emotion. (If you are not familiar with UX design, White (2017) and Lanoue (2015) offer good introductions!) Therefore, it is natural to include motivational design as an additional focus of UX design. 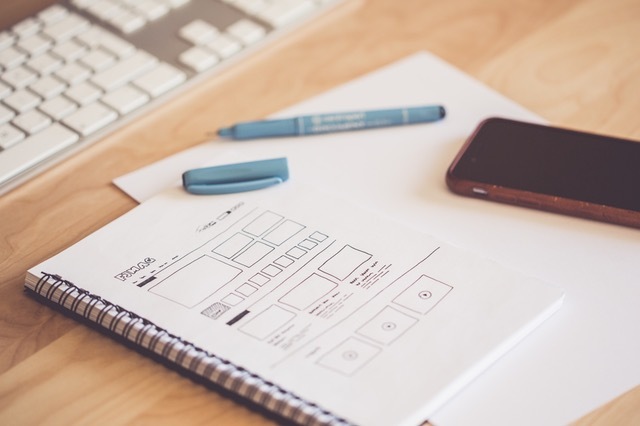 UX design is itself an evolving field; however, in the past years, there has been a better understanding of how to integrate UX design into the product design process. For example, Agile UX or Lean UX approaches are used to integrate UX design into agile software development projects. (For good accounts on how Agile UX works as part of the larger product design process, see these articles by Envato (2016) and New Haircut (2017)). Hopefully, in the future, we will be talking less about separate gameful design projects and more about motivational and gameful design as part of the overall UX design effort. This should make it easier to create truly engaging digital apps since their conception, instead of just trying to tack gameful elements on after the product design is finished. To accomplish this, it is necessary to start thinking about how gameful design methods can be integrated with existing UX design methods. Some of the methods currently used in both practices are similar and, therefore, could be easily merged, such as user research, prototyping, user testing. As part of my research, I have been thinking about the integration of gameful design into UX design and agile software development. 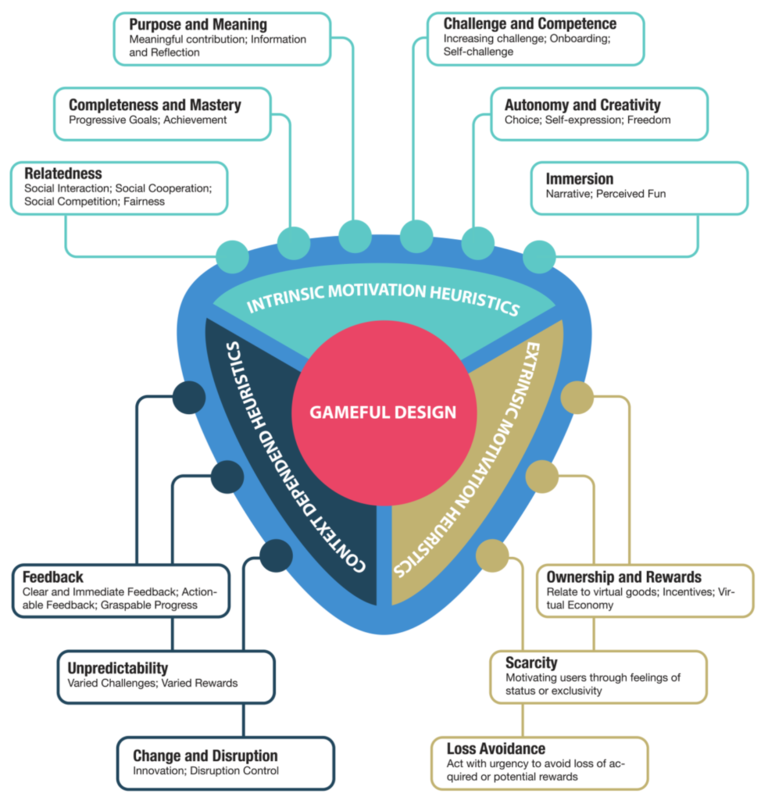 One of the projects I am currently working on together with colleagues from the HCI Games Group is the Gameful Design Heuristics. This is a heuristic evaluation method that can be easily used by UX designers to assess the product’s potential in affording motivation and engaging the users, in addition to the traditional usability evaluation methods. If you are interested in hearing more about it, check the project’s website and follow us to receive additional information as we release it! Moreover, this is just one of the approaches I am currently exploring regarding the integration of gameful design onto UX design. Stay posted! More news on this topic will come in the future!